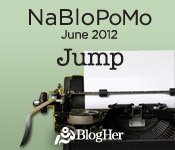 The NaBloPoMo question of the day is: Do you need to look before you leap? My answer is: YES! I firmly believe in looking before leaping. I like to research and plan before making any decisions. I have found that they few times in my life that I did not research something before jumping into it, I ended up unhappy with the outcome. Sometimes this can be annoying, even for myself, because I can put off making a decision for too long while trying to make sure that I know as much about it as possible. Even when it comes to simple things, like buying a new purse! I will wait and debate and look around for the best deal for so long, that the purse is no longer in style by the time I decide to buy it! 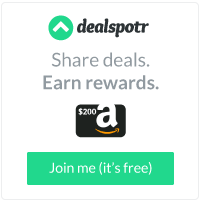 In most cases, I am happy that I put so much thought into things, because I end up getting the best deal and making a decision that is best for myself and my family. What about you? Do you look before you leap? I STARE! My husband is the opposite, he barely turns his head. Guess that's why we're so good together.